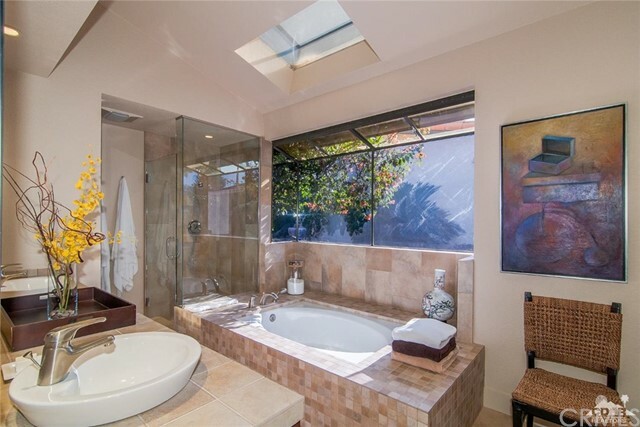 Perhaps... the finest home in Los Lagos. 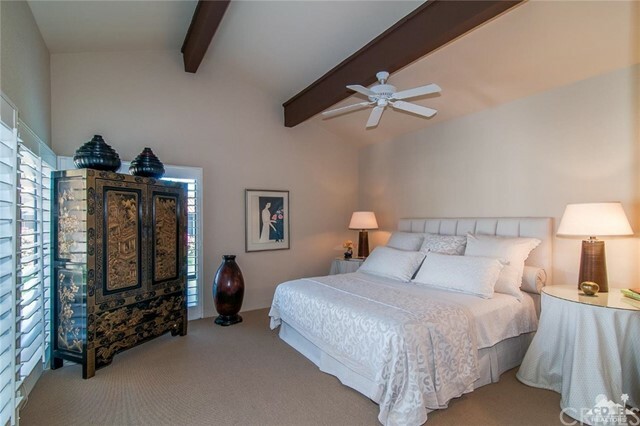 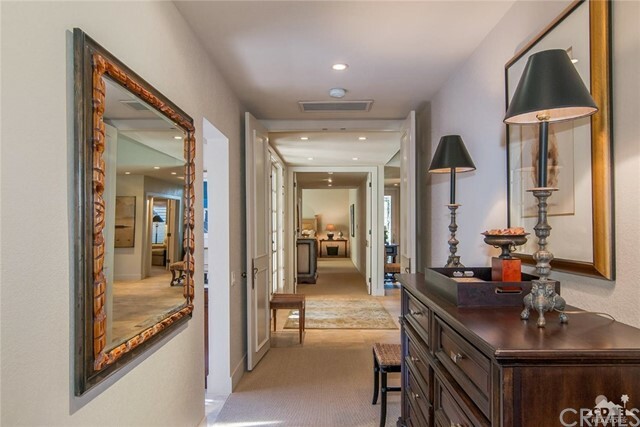 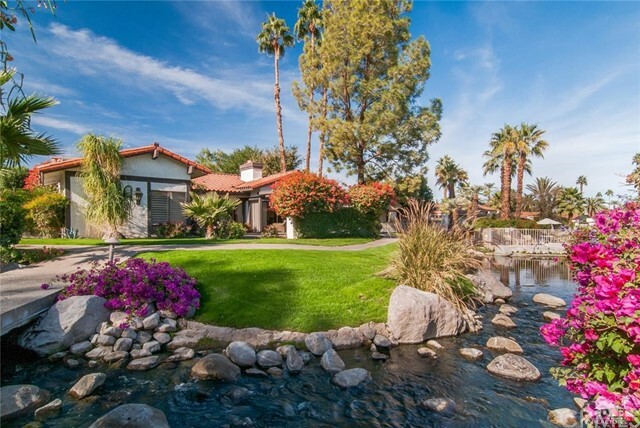 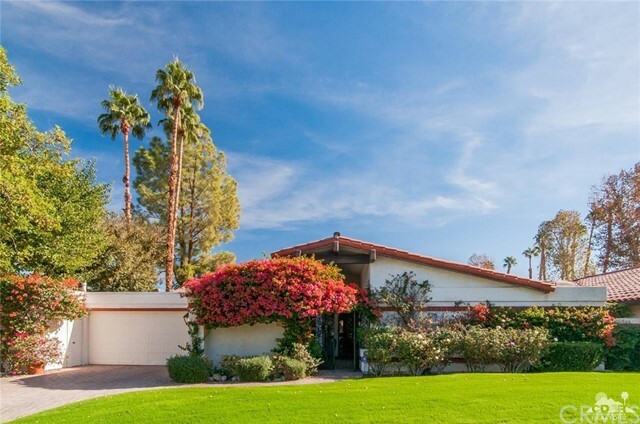 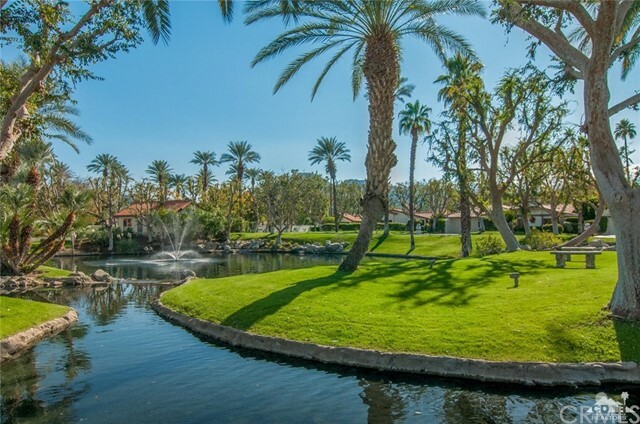 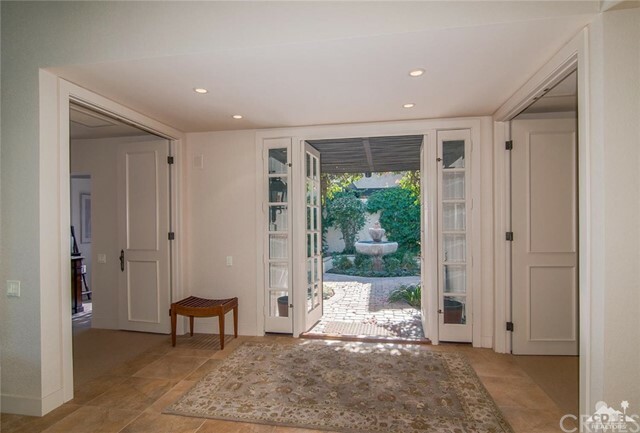 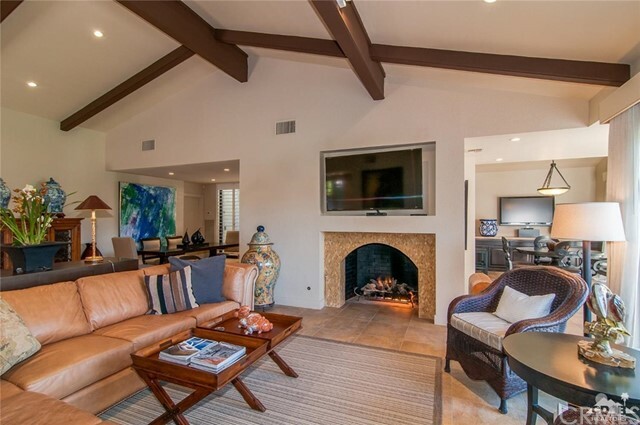 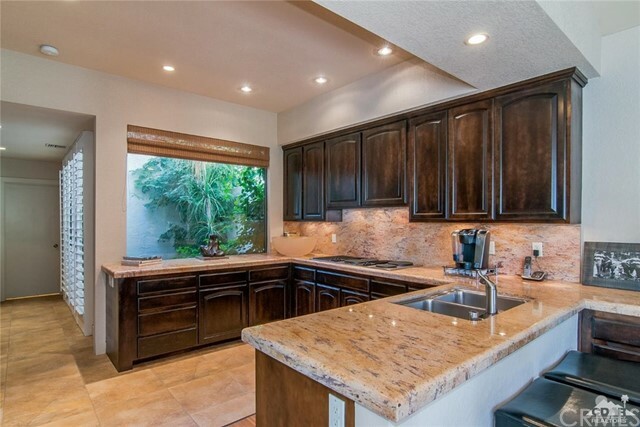 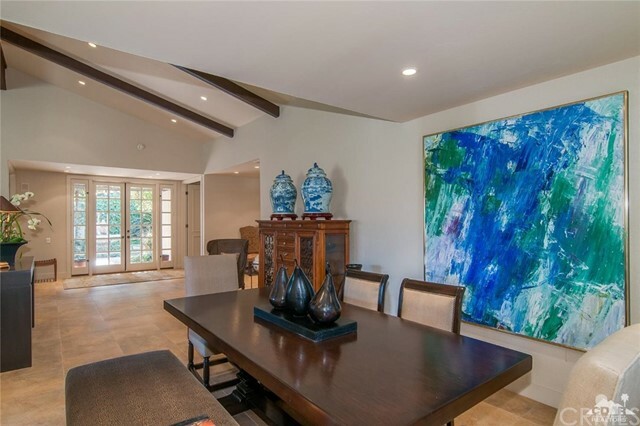 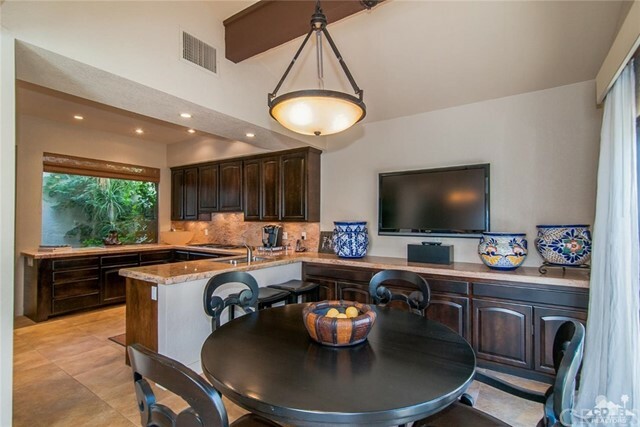 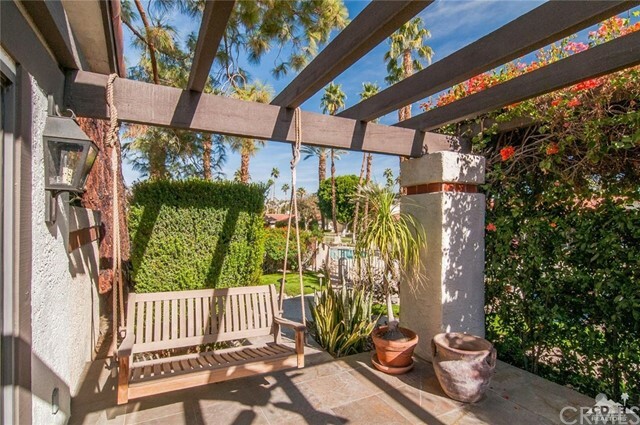 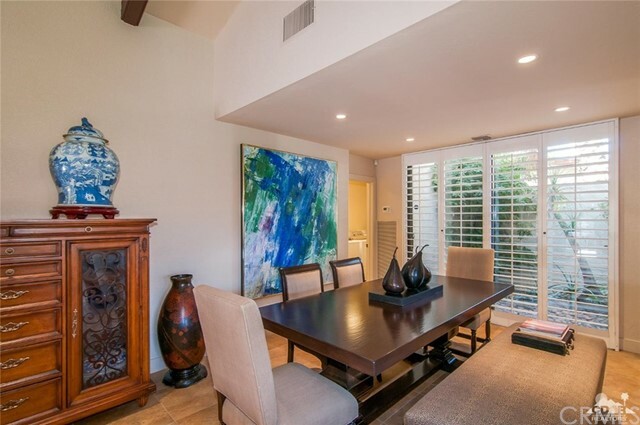 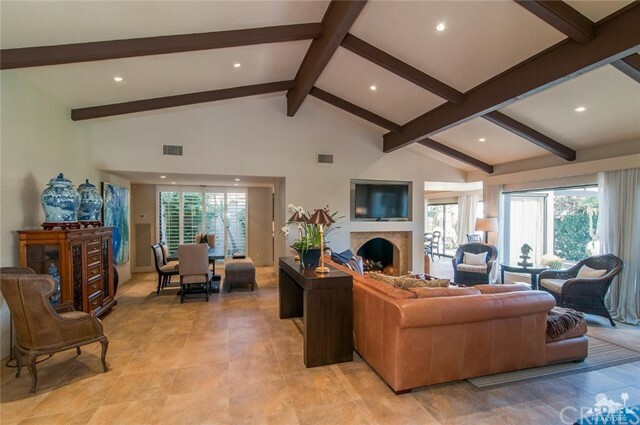 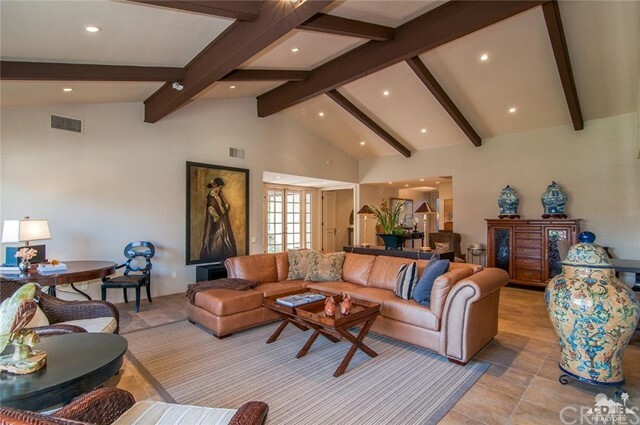 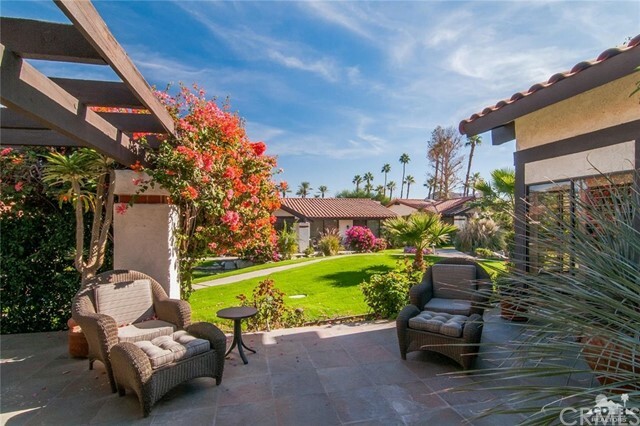 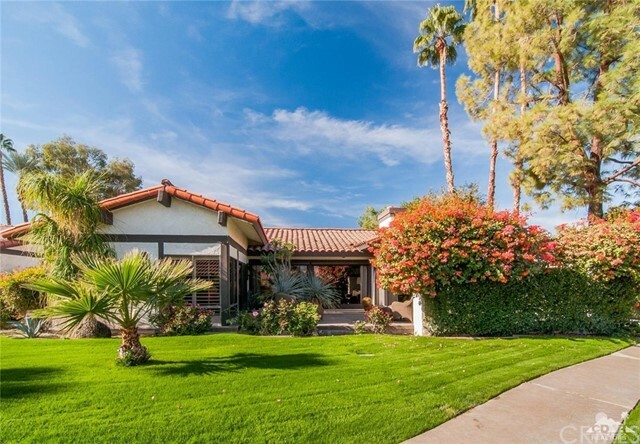 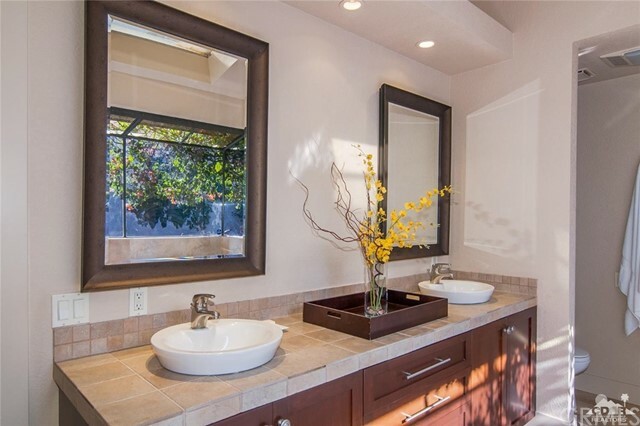 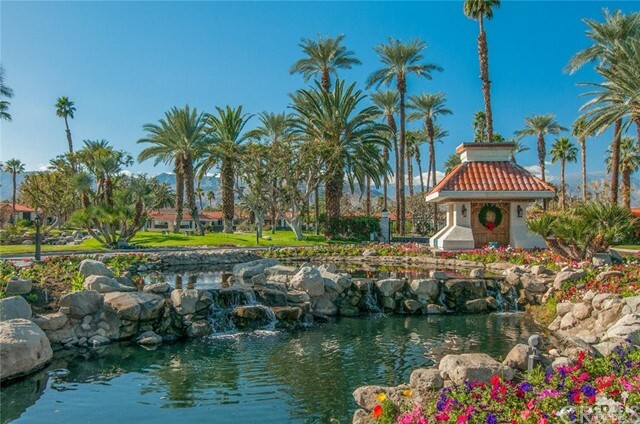 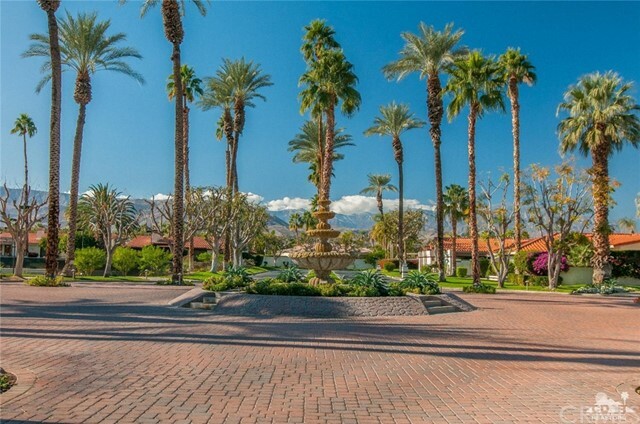 A stunning home situated on a quiet cul-de-sac in the sought after Los Lagos Indian Wells, known for its beautiful streams & water features. 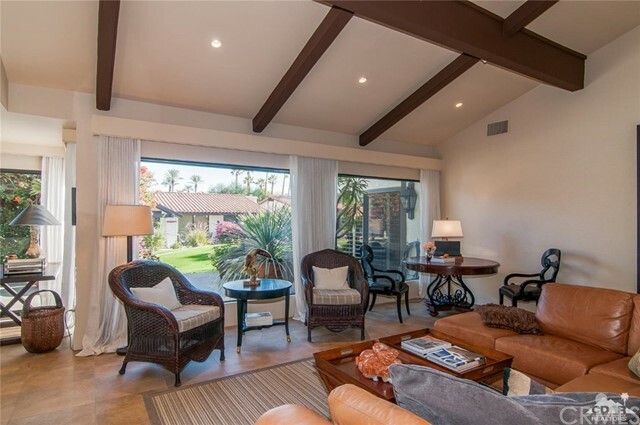 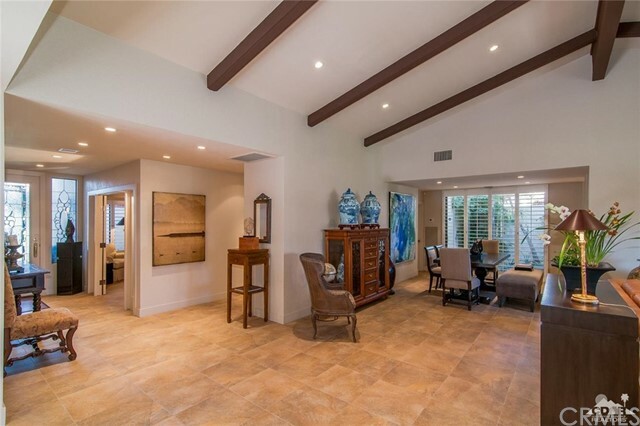 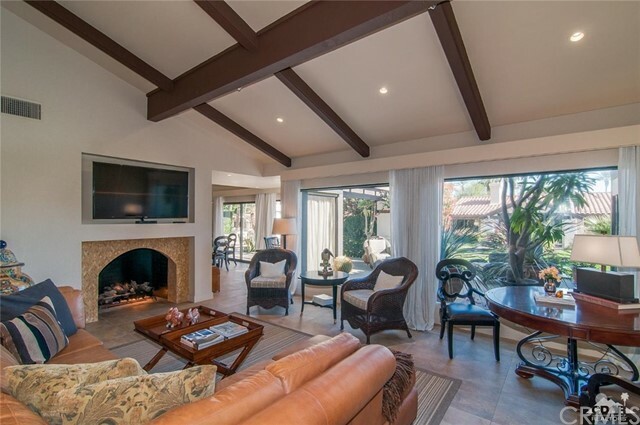 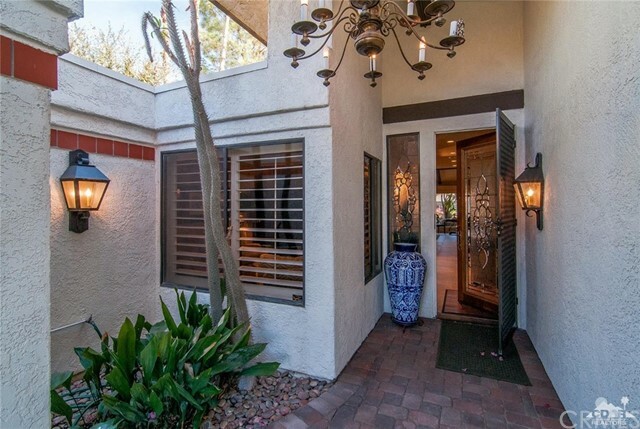 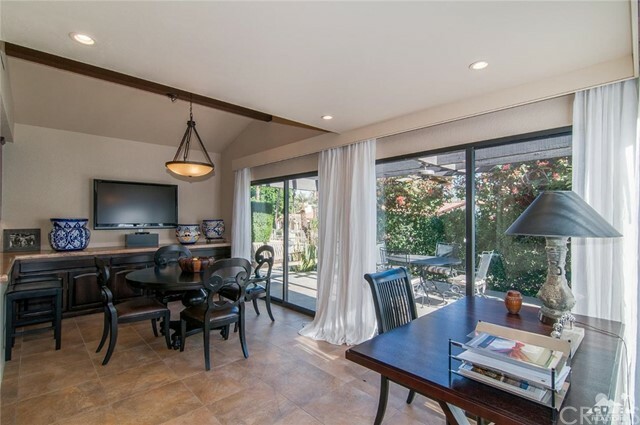 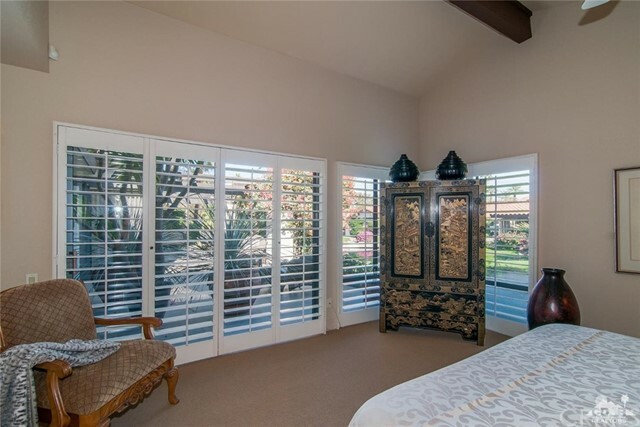 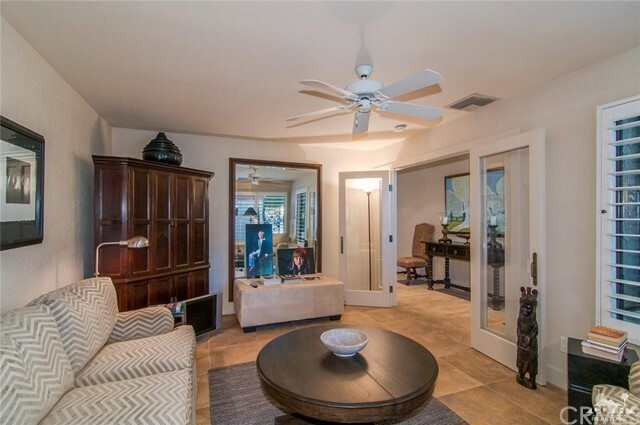 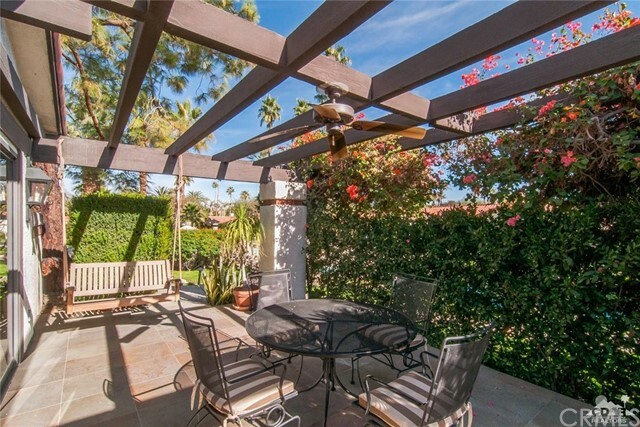 This light & bright 3BD including Den/3BA, 2942-SF, ONE-level open floor plan features soaring wood beamed ceilings, beautiful tile flooring, plantation shutters and walls of glass to mention a few. 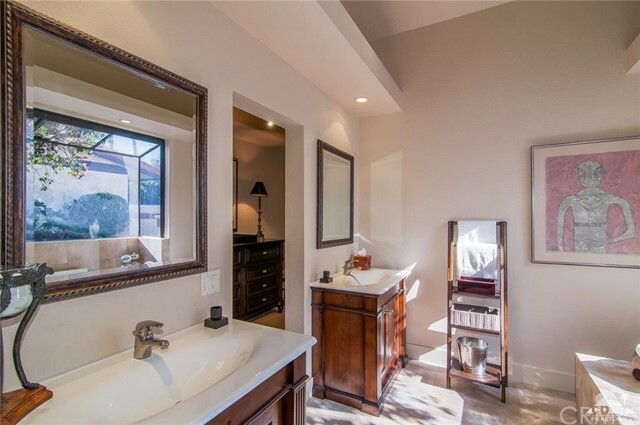 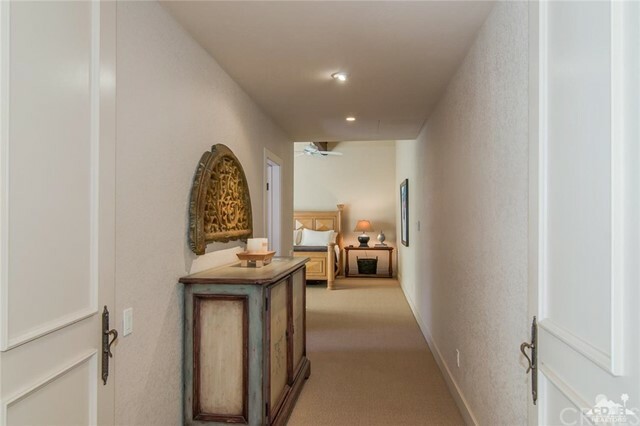 Double master suites with gorgeous baths, complete with dual vanities, separate showers & soaking tubs, one with walk-in closet. 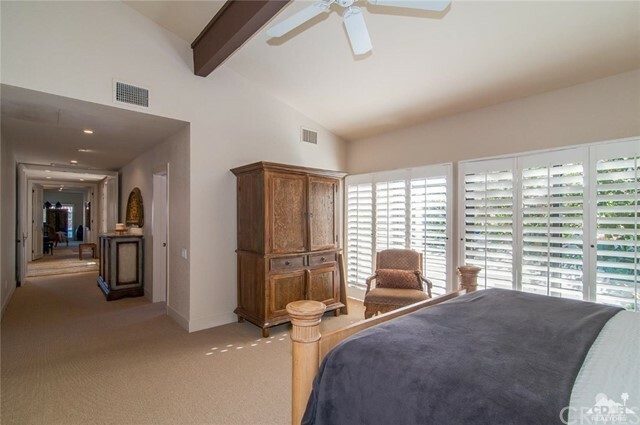 The third bedroom has been decorated as a den with French doors. 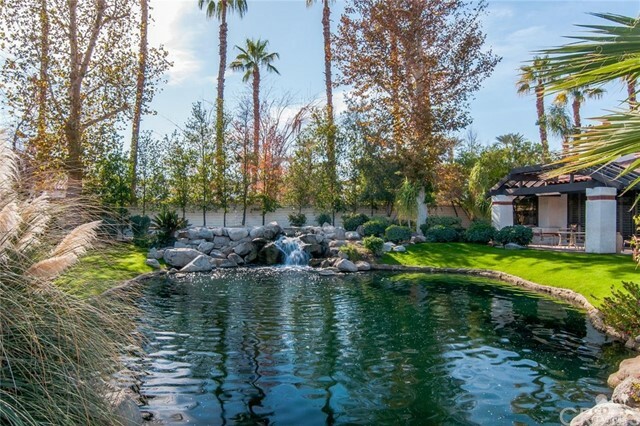 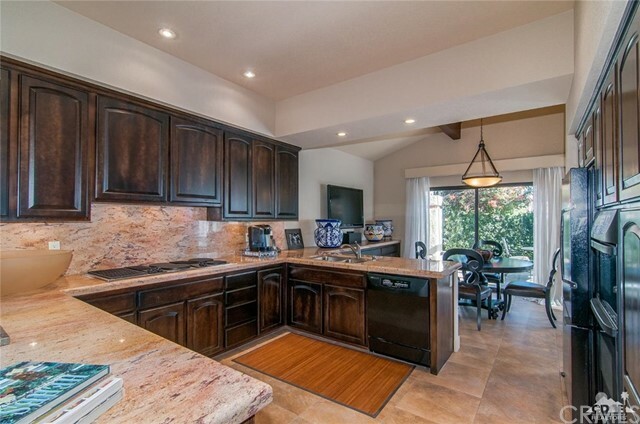 Loaded with upgrades including a beautiful kitchen w/granite counters, mosaic surround fireplace and French doors opening to a private patio with tranquil water feature & stone pavers that wrap the house & driveway. 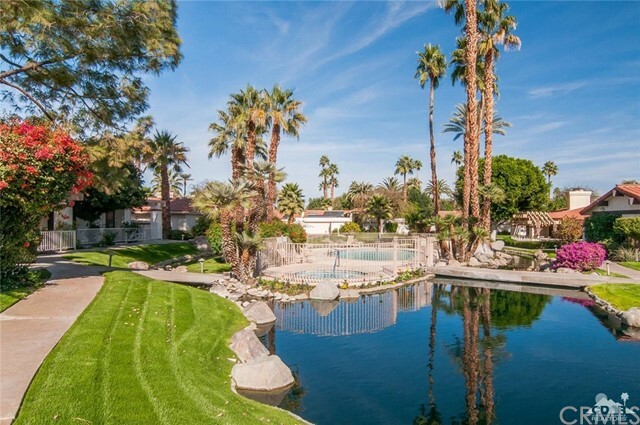 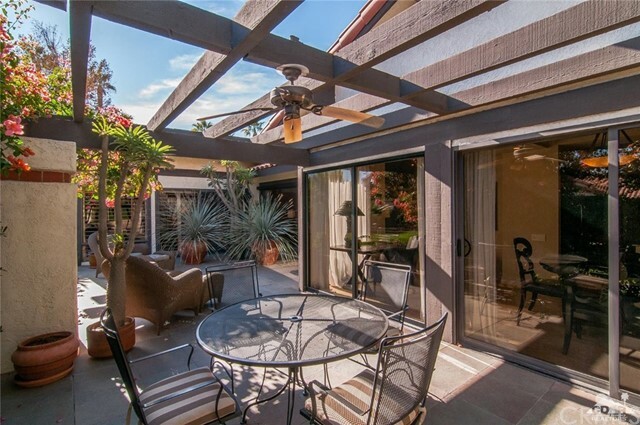 Enjoy soaking up the sun or shade on the lushly landscaped rear patio overlooking lake & stream, along with one of the five community pools & spas. 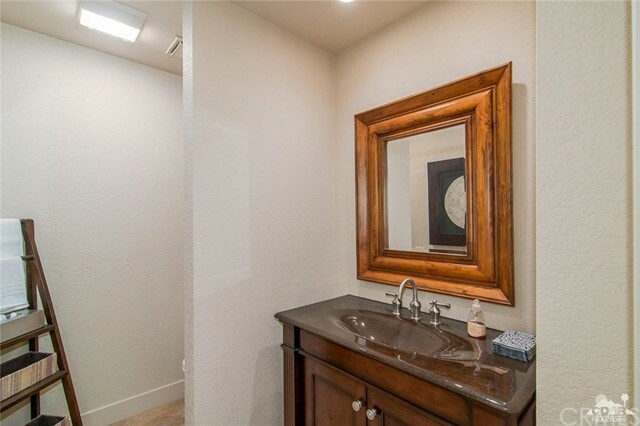 This home is for those who only want the best.